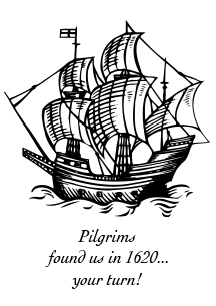 Ocean and Beaches - Provincetown Chamber of Commerce, Inc. It doesn’t get any better than the beaches in the Provincetown area! In addition to hotel, motel and condo beaches on Cape Cod Bay, the Provincetown area is graced with the crown jewels of the Cape Cod National Seashore: Race Point and Herring Cove. The water here is usually gentle which makes them a good choice for little ones. Best of all, they have breath-taking sand dunes and plenty of space for enjoyment (see the maps above). On the road between Provincetown and these beaches is Beech Forest. Gentle walking and biking trails lead to kettle ponds. This is a prime area for spotting bird life. 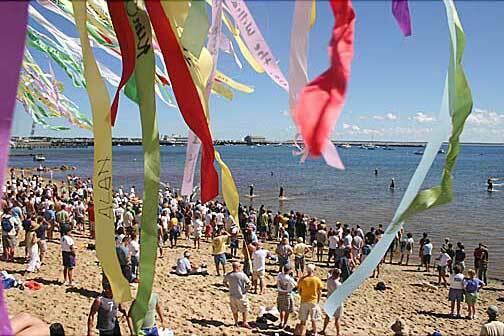 Families can easily travel seasonally by ferry from Boston to enjoy Provincetown for the day, weekend or more. Since Provincetown is a great town for walking and/or pushing a stroller, a car is not necessary. Bay State Cruise Co. and Boston Harbor Cruises offer high speed passenger ferries; Bay State Cruise Co. also offers traditional passenger ferries on this route. Kids love being on the water and so taking them on a fishing charter is a great way to get their feet “wet.” All the listings below are family-friendly. Since these all involve being on or in the water, parents must be the judge if their child is the appropriate age for particular water activity. Kayaking in Provincetown Harbor is Great Fun! Since Provincetown is graced with being surrounded by water on three sides, there are plenty of unique options for families to enjoy fun water activities. If you like the excitement of tall ships, check out: Dog Gone Sailing Charters, where your kids can help hoist the sails. For families who prefer more intimate ways of being on the water, there is Venture Athletics which offers kayak rentals and guided tours of PTown Harbor. The West End Racing Club specializes in summer sailing lessons for those eight to 14 years old. Provincetown ~ The capitol of whale watching on East Coast! If you and your family want to get up close and personal with these behemoths, than book a ​whale watch trip! Whale watches from PTown are the best on the East Coast since feeding grounds are close to PTown. To learn more about whales – and other marine life — visit Provincetown Center for Coastal Studies. The center’s calendar includes child-friendly activities. Sumo Wrestlers Spotted on PTown Beach! The strength of the waters surrounding PTown should not be under-estimated. I don’t mean this in terms of overpowering wave action; instead that statement is all about how the salubrious waters surrounding the tip of this peninsula can calm, enlighten, and bring families together through fun, shared experiences. My family LOVES the National Seashore beaches near PTown: Race Point and Herring Cove are our all-time favorite beaches. This is a huge accolade considering that we’ve been on plenty of exotic beaches while on dozens of Caribbean cruises. So what is it about the gentle, clear waters of Race Point and Herring Cove that we love? On the surface, we are attracted to these waters because they are warmer than some other Cape Cod beaches on the National Seashore. But it’s more than that and in fact, part of what draws us to these beaches is the scenery surrounding them. The untouched sand dune vistas along the roads and bike paths leading from Rt. 6 to the beach entrances are other-worldly. Simply put: the undulating dunes here touch our souls. Lest you think that my kids are always focused on the ethereal, they also love to horse around on spacious Race Point beach. Their favorite game? Playing pretend “sumo wrestlers” with their cousins! Yes, each summer kids, teens and parents in my extended family draw a large circle in the sand at non-peak beach times. We then take turns competing in pairs with funny “wrestling” antics. Silly yes, but our kids will never forget this annual tradition! Other memorable water activities in and around PTown include THE BEST whale watch we’ve ever gone on! The up close and personal encounters with whales on our Provincetown whale watch even surpassed one in Alaska.